respect as they toured the country to explain government policies to the people. In recent months however, seemingly encouraged by President Kikwete to reveal corruption whenever they see it, the people have responded actively by heckling ministers as they speak and demanding action against those they accuse. At the same time the media have begun to pursue corruption with enthusiasm and are causing much embarrassment to the ruling Chama cha Mapinduzi (CCM) Party and the Government. The normally quiescent and divided opposition parties led by CHADEMA, the leading party on the mainland, and including the leading opposition party in Zanzibar the Civic United Front (CUF), and the Tanzania Labour Party (TLP) have joined together in tackling the government on a whole series of corruption related issues. Nationwide elections for new leaders in the CCM Party made things worse. People witnessed widespread bribery and corruption as competition between candidates became more fierce than ever before. For the first time, the four main opposition parties in the National Assembly, seem to have agreed to work together using corruption as the weapon with which to attack the government. 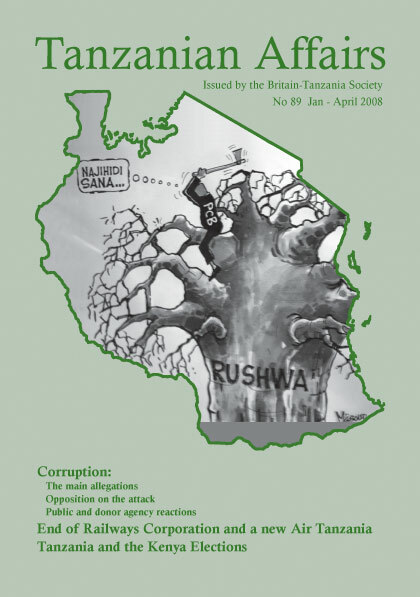 As reported in Tanzanian Affairs No 88, things started going badly for the government in August 2007 when the young CHADEMA MP for Kigoma, Zitto Kabwe, tried to table a motion in the National Assembly to set up an investigation into the signing of an agreement for the Buzwagi gold mine. The Speaker suspended Kabwe because he said he had humiliated the Minster of Energy and Minerals in his speech. 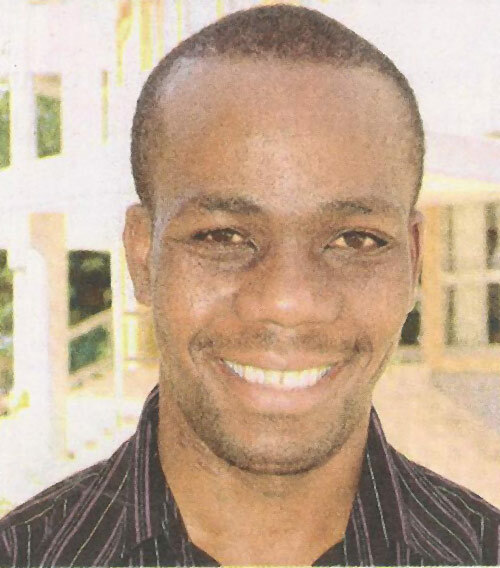 During the next few days a big public outcry began against what was described as the excessive length of Kabwe’s suspension – until early 2008. The Public Procurement Regulatory Authority (PPRA) is reported to have discovered breaches of regulations in the purchase of cars for various ministries – KuliKoni. – The party nullified the election results for five NEC candidates in Pangani for failure to observe election regulations. – In Tanga an NEC candidate arrived with a truck full of soft drinks to be distributed to voters but was asked to remove it. – In a dramatic development on September 5 two MPs from Arusha, David Mollel for Arumeru West, who was vying for a position on the NEC and Lekule Laizer, MP for Longido who was running for the CCM Chairmanship in Arusha Region, and ten other party leaders were arraigned in court on corruption charges. – In Mwanza the Regional Party Secretary confirmed that he had instructed the PCCB to be in attendance during the polling process to keep an eye on any possible unethical practices. This was after the PCCB (nicknamed “scorpions” by some) caught five party members on corruption charges. Following complaints in parliament and elsewhere about the agreements being signed with foreign mining companies for the extraction of gold, President Kikwete appointed in November a 12-member special commission to review existing mining contracts under the Chairmanship of former Attorney General Mark Bomani. The big surprise was the inclusion in the list of members of the celebrated Kigoma North MP Zitto Kabwe. Some CHADEMA party leaders doubted if their MP could be effective in the Commission, given its composition – Majira. Terms of references include the reviewing of mining contracts and other documents related to commercial mining, evaluation of the taxation system in the minerals sector, and the rights and responsibilities of the investors and the government. The Committee was instructed to meet with the Chamber of Mines and other key stakeholders before giving its recommendations – Guardian. The Presidential Commission on the mining industry has started touring the country to collect evidence at the beginning of January. People living near the Bulyanhulu gold mines in Kahama district told the Commission members that they had lost confidence in local leaders and officials, as they sided with the investors and were on their payroll. One villager, said that the people near the mine were being ‘gagged with sweeteners’ they received from the investors. He said that before the committee arrived the mining firm entertained the villagers to a meal so that they would remain silent. “We are glad the presidential committee is here, especially with Hon Zitto Kabwe as a member, because we hope you will take our message said the villager – Majira. OIC – WILL TANZANIA JOIN? The capital city of Senegal, Dakar, looks to the visitor like one huge building site with the construction of 40 kilometers of new roads in the heart of the city, six new 5-star hotels with 1,000 rooms and other facilities, using generous funding provided by the oil-rich Islamic states. It has been chosen to host the 11th summit of the Organisation of the Islamic Conference (OIC) Summit which will be attended by some 7,000 delegates from 57 countries in March 2008. Tanzania is not a member of the OIC although in 1992 Zanzibar caused something of a stir when it joined unilaterally without apparently consulting the Union Government of Tanzania. However, its membership lasted only one year because the OIC, under its rules can only accept as members fully sovereign states. The Government of Tanzania had strong reservations about Zanzibar’s action as it believed that it was not in the best interests of the country to join an organisation representing only one of Tanzania’s religions. This sensitive issue has been discussed from time to time over the last few years with Zanzibar apparently still keen to join. The Zanzibar Electoral Commission (ZEC) finally published its full 70-page report on the conduct of the 2005 elections in the Isles in early November. It confirmed that there were irregularities including interference by security forces, particularly during the time when people were being registered for the polls. According to the report, summarised in the Guardian, law-enforcement agents made all security decisions during the registration of voters and the actual casting of ballots without involving the Electoral Commission. The report recommends that local government leaders popularly known as shehas be vested with less decision- making power. 1,197 voters were found to have registered twice. CUF narrowly lost the 2000 and 2005 Isles general elections to the ruling CCM. It blamed the defeats on irregularities in the entire electoral process and called, unsuccessfully, for a re-run of the poll. 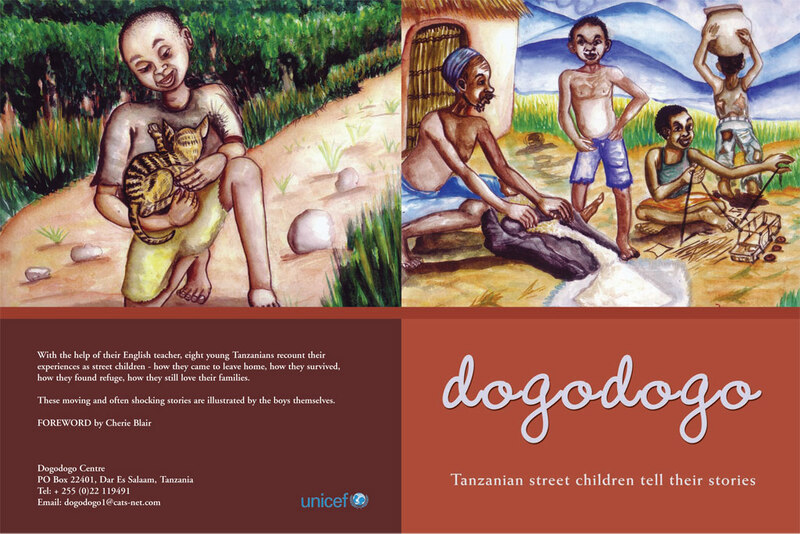 “It left a deep impression on me” said Cherie Blair, the wife of the former British Prime Minister, in a Foreword she has written to a new 50-page book published by UNICEF, Macmillan Aidan and others entitled ‘Dogodogo – Tanzanian street children tell their stories’. “I was lucky when Kasia Parham, the wife of the British High Commissioner, took me along to see the remarkable care and support being provided to those who had nothing. I was struck by the dedication and warmth of the American Sister Jean Pruitt, who established the Dogodogo Centre in Dar es Salaam which provides a haven for boys rescued from the street” Cherie Blair said. The book, which is edited by Kasia Parham, a volunteer teacher at the Centre, contains a large number of illustrations painted by some of the boys, and describes the experiences of eight of them – how and why they came to leave home, how they found refuge, how they survived in incredibly difficult circumstances, and how they still loved their families. High Commissioner Philip Parham said that he hoped the book would be seen as a good teaching resource in schools in the UK, US and elsewhere to raise awareness. The result of all this work is a highly readable book which explains in moving language the extraordinary and often very sad stories of their lives so far. During the past fifteen years some 1,500 children have benefited from the services of the Centre operated by the ‘Dogodogo Street Children Trust’ which also runs a programmes on HIV/AIDS and a successful anti-drugs programme. With the encouragement of First Lady Mama Kikwete a USAID-financed edition is being produced in Swahili. The book is being sold in TZ at Novel Idea and Art n Frame (Dar-es-Salaam). Schools in UK wanting copies should contact Ellie Wilson at Macmillan UK: e.wilson@macmillan.com. See http://www.dogodogocentre.org for more information about the project. Those wishing to contribute to the Trust should contact Sister Jean at dogodogo@bol.co.tz. National identity cards will be issued in Tanzania in 2009. The project is being implemented under an independent National ID Management Agency under the Ministry of Home Affairs. It will cost $152 million and is aimed at controlling illegal immigration. Some 2,300 illegal immigrants were caught in the country during the first eight months of 2007. At least 503 illegal immigrants from Ethiopia, Somalia and Eritrea were in various prisons in the country awaiting deportation to their respective countries – Guardian.